On January 22, Israel will hold its parliamentary elections to elect its prime minister and the parties that will make up the 120-seat Knesset. What is discussed far less is that Palestinians living under occupation — who, between Gaza and the West Bank make up more than 35 percent of the population effectively controlled by Israeli authorities — are unable to vote, despite the fact that Israeli policies directly or indirectly control every aspect of their daily lives. Many Israelis — particularly Arab citizens of Israel — have chosen to boycott the elections, citing Israel’s increasingly right-wing politics or a refusal to legitimize the ongoing occupation. Other Israelis critical of their government’s policies will still be voting — but instead of half-heartedly voting for the lesser of a host of evils, they will enable a disenfranchised Palestinian to vote in their place. On the Real Democracy Facebook page, Israeli citizens generally start a thread stating their intention to give their vote to a Palestinian, and Palestinians comment with their desired political candidate or party and as much of their personal story as they wish to share. Sometimes it works the other way around. Despite criticism, the organizers and participants have not faced any formal threats — though one Israeli Defense Forces soldier chose to remain anonymous to avoid punitive measures. This is not the first time that activists have organized to give their votes to a disenfranchised population. In 2010, thousands of voters in the United Kingdom participated in the “Give Your Vote” campaign that allowed citizens in Afghanistan, Bangladesh and Ghana — countries highly affected by the military and global trade policies of the United Kingdom — to have their voices heard in the elections. Before creating Real Democracy, Shimri Zameret participated in the Occupy London protests and, inspired by England’s success in fostering a “borderless democracy,” decided to bring the idea to his native Israel. “The local context of the situation in Israel and Palestine is a much more clear cut lack of democracy — and a much easier case to make,” Shoshan told me. Although the Palestinian territories are technically governed by the Palestinian Authority in the West Bank and Hamas in the Gaza Strip, it is Israeli — not Palestinian — authorities that grant or deny Palestinians what political rights they possess. For example, even though the Mountain Aquifer — which is the main water source between Jordan and the Mediterranean Sea — runs underneath the West Bank, Israel controls it completely. As a result, 80 percent of it is allocated for Israeli settlements, leaving a mere 20 percent for Palestinians in the West Bank. The Israeli occupation also severely restricts Palestinians’ freedom of movement. Throughout the West Bank, permanent military checkpoints and blocked roads control whether or not residents can move between villages. Arbitrary curfews and closures sometimes keep them from moving altogether. In the Gaza Strip, Israel controls the air, sea and land borders; in order to leave, Gazans need to obtain a permit from the Israeli authorities. These permits are often denied, effectively trapping Palestinians in the Gaza Strip. Perhaps the most decisive way in which Israel circumscribes the political freedom of Palestinians is by building settlements — a process that often involves forcefully evicting Palestinians from their homes, razing Palestinian villages and replacing them with Jewish-only communities. These settlements make the West Bank even more fragmented for Palestinians who must live around the settlements and avoid the settler-only roads. Villagers are displaced en masse, often finding themselves in refugee camps elsewhere in the Palestinian territories or in another Arab country. Each of these policies — how resources are disproportionately allocated, whether or not checkpoints will be open or closed, and settlement construction — is dictated by Israel. “In many ways, a Palestinian living in the West Bank or in Gaza is much more affected by the Israeli authorities — decisions made by the prime minister and other politicians — than I am,” Shoshan said. If Palestinians under occupation could vote, perhaps some of the Arab-Jewish parties — such as Balad, Da’am or Hadash — would enjoy more representation in the Knesset and be a part of the ruling coalition, which they are currently excluded from. 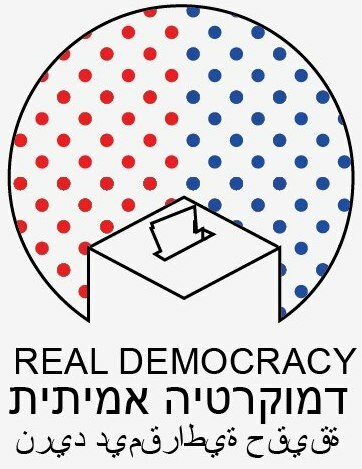 Though Arab citizens of Israel do have the right to vote, many of them abstain from voting, either because they are purposefully boycotting the elections or, due to the extreme poverty of most predominantly Arab communities of Israel, because they have lost faith in the political process. Meanwhile, the viable political parties in Israel remain skewed towards the right or the extreme right. Thanks for this and all your postings while on your trip. I like this idea! US citizens could use this idea to great effect too, I think. How so? Whom would people in the United States offer their votes to? 1. There is no occupation – Hamas Controls Gaza and the Palestinian Authority controls the West Bank. 2. The Gazans vote independently – they voted Hamas in the last elections and if the Terrorist group will be willing to hold another election, they will vote again. Hey Anna, why not write an article on the true problems? 3. In the West Bank the PA controls voting, and Abbas was voted last time. Like Hamas, if this Terrorist group will choose to have votes again the Palestinians there could vote again. Hey Anna, why not write an article on the true problems? 4. The Israeli Arabs always vote, they have ~10% of all seats for Arab parties’ MPs and have Arab MPs in other non-sectarian parties. You could have shared this information, don’t you think it’s important? 5. “In the Gaza Strip, Israel controls the air, sea and land borders; ” – that is another lie. Gaza has a border with Egypt, which is controlled by a similar movement to Hamas. They can leave any time they want, and if there are problems, shouldn’t you address Egypt first (being Hamas’ ally)? 5. “Arab-Jewish parties” – Huh! They are Arab only parties, no women, and one token Jew to lure Jewish voters (Da’am BTW, is not a real party). 6. Interviewing someone from the lunar left isn’t representative of anything. 7. Your suggestion to hijack democratic elections is both worrying and revealing. I think Anna Lekas Miller makes quite clear just some of the many ways in which the apparent PA governance of the West Bank is in very real ways an occupation. Except in very limited and non-contiguous areas, the Israeli military is in total control, which in turn allows the military to dominate everything else. The Paris Protocols ensure that, economically, the PA is completely dependent on Israel. The voting permitted to Palestinians is in some respects comparable to high school students electing a student council whose power is limited to deciding the date and theme of the school dance. A highly militarized school, that is, with checkpoints and hall monitors with guns. The students should stop suicide bombing students in other schools, and should stop declaring amongst themselves that they are some “supreme religion” who’s inherent right it is to dominate and subjugate every other faith and nation on the planet. You somehow missed Hamas, I guess this is because it deflates your (and the writer’s) arguments completely. Even the excuses you raise for the PA making it a “Israeli Occupation” are just ridiculous. It is both worrying and revealing that you are upset because of the checkpoints, and not because the continuous slaughter of innocent Jews they are trying to prevent. The PA controls the West Bank, huh? I’m curious of something. Do you believe in a two state solution? Are you paid by the IDF? Or are you an American that hates logic and fact? Phil: Your comments are disrespectful, I will have to ignore. Sorry.